Aqua Party is in it's 6th year, and 2016 is going to be the best yet. Come join us to raise awareness and support for clean water on August 13th, at 260 Bay Walk, Fire Island Pines. Tickets required. To-date Aqua Party has raised almost $50,000 for clean water, helping 2500 people in communities in Kenya get access to safe, clean, reliable water. 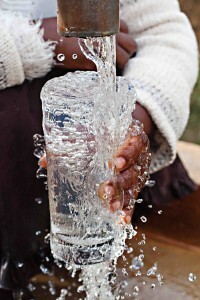 1 in 9 people world wide do not have access to safe and clean drinking water. Half of the world's hospital beds are filled with people suffering from a water-related disease. Nearly 1 out of every 5 deaths under the age of 5 worldwide is due to a water-related disease. Our 2016 goal is to raise $10,000 to fund clean water and new latrines at a school in Western Kenya. We've chosen to help a school because of the hope and impact clean water can mean for young children. Over half of the developing world's primary schools don't have access to water and sanitation facilities. Without toilets, girls often drop out at puberty. By investing in clean water alone, young children around the world can gain more than 413 million days of health! We hope you'll consider joining us this year! With your generous gifts and your help rallying support, we can provide clean, safe and reliable water to a community in Africa. 08/30/16 AQUA POOL PARTY 2016 $7203.30 AQUA Supporters thank The Water Project for their work!